Uh, sure... Did the Imaginators lineup have placeholder names, like the other games' figures? Not sure if we should be asking how they work or stuff you found in the code(if that's even allowed to be discussed here). So, like, did you work at TfB or something? How much EXP is needed for each level? In Giants, Quests unlocked the Bronze/Gold/Silver Top Hat for a character you completed them on. How are they locked off? Are there ticks on the character that unlock those hats for use, or does the game just read their rank and lock or unlock the hats on a per-figure basis? How does the Hero Level work, does it just store an amount of EXP like the regular levelling? And if possible how much EXP does that need, per level or at least to max? How much unused potential space is on the figures? Do you know why the games sometimes write bits to the figures that sometimes corrupt them? And I've seen it explained in the past, but it's been a long time, could you explain what makes them corrupted? Have you ever tried modding the games? It's a pipe dream of mine to mod SA, I have so many ideas for that game and just recently got a Wii to mod (not expecting to crack this game, it's primarily for other mods). I assume you just did the research for fun though, which is cool anyways. I know this is a bunch of questions but I don't expect them all to be answered haha. Thanks. Thank you again for the answers man. :] It's been so long since I saw this kind of dicussion anywhere outside of Pyrofer's figure tool thread. 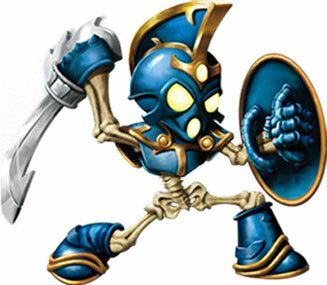 Hero Level was part of Skylanders Universe, a closed webgame. Ultimately, it really didn't give you any upgrades, unlockables, etc., it was just something to grind on if you played the webgame. However, it's not just something that was stored online. You can view the stat in SA, and it could be saved onto figures from the webgame with a Portal. These days you can't raise it at all and any new figures are stuck at 0, since it was only used for Universe. It should be possible with figure save editing, but I've not seen anyone mess with it. Unfortunately I don't have any figures with Hero Level data to potentially dump (I've reset and replayed everyone so often that it's all wiped by now; I may have a Sprocket with the data on it, but I seriously doubt it). You could reach a max Hero Level of 50 and gain more experience by eating elemental plants and playing minigames. If I could mod it the main things I'm pining for are difficulty options and path switching, those are the ones I think would be realistically possible anytime soon and difficulty option would probably increase my playtime more than anything. I imagine difficulty in particular you could do just editing some damage numbers, even though the AI would still be really basic it'd be something; I'd already have messed with that on the PC version and seen if I could make anything work, but that is frankly a terrible port of the game so I still wouldn't play it. Unfortunately the farthest I've gone with any kind of "modding" (emphasis on the quotes, because it was just looking through files and drawing) was a few textures for Minecraft a few years ago so yeah I don't really have any skills to make anything new unless it's something visual. I have bigger ideas like porting the Giants Heroics and PVP maps to SA, level cap to 20 (though I imagine it's simpler, it's still probably out of my realm), implementing plants into SA that increase the Hero Level (and make HL increase health, so it actually has a purpose)... but those and more are the "pipe dream" parts I expect will never happen. If I buckled down I certainly have the free time and I think I have the dedication to mess with difficulty if nothing else. Online would be on my list too but, heh, that might actually be possible (though flawed) right now. I can't test this yet though, because if online for SA is possible, it'll be region-locked, and I'm waiting to get an NTSC copy in the mail. Don't happen to have any PAL friends with modded consoles. If you want more info about SA online I'll PM you about it, I know talking about that is OK here but I'm not sure I can post the link to more info. And ey man the Wii is going for about $20 now (without cables/controllers/etc, not sure how much they'd be with them). If you want to mess around on the first two games further, you can always get one of them (I know some of the later games are on Wii too, and I haven't played them, it's just they're generally regarded as bad ports and barely anyone plays them, so I don't think there would be any audience if they were modded). I'm glad you could mess around a bit though. Edit: I forgot, re- figure corruption, the reason the PC version of SA is awful is because it frequently corrupts figures. Leave them on the Portal, corrupted in seconds, in my case. Spitballing, maybe it's an issue with the game refreshing andor reading the Portal exacerbated by something with my PC (I know it corrupts figures for many people, but rarely to this extent). It's definitely an issue with the PC version alone. But it's not always caused by removing figures while stuff like experience or gold is going on them, because from my experience the PC version was so bad about this that eventually I couldn't even move around the hub without it happening, and it happened before I could pick up anything. I also didn't try messing with any files or stuff on it so... maybe there could've been some copy protection that did that, but if so, it triggered from nothing. I should also mention that once, my Dark Spyro was "corrupted" according to the PC version but then played as if nothing happened back on the Wii version, so eh. I've also had the console versions say figures are corrputed when it was just metal intefering once or twice, when I had to keep my Portal right next to the TV, but I'm positive there were no metal objects around the Portal when I played the PC version. Regardless of what it is, I haven't played the PC version in years, so I could easily be misremembering some details... but I definitely remember a few times I tried to pick it up again to beat it and figures got instantly corrupted, games asking to reset them. 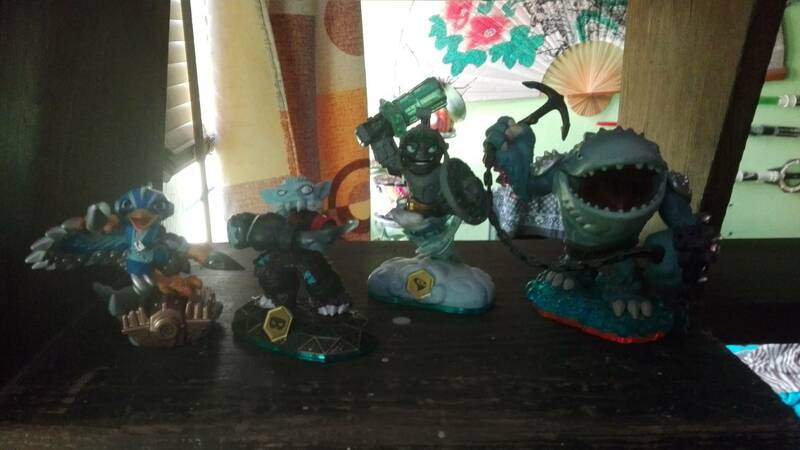 "modding skylanders games" - do u mean figures and or game? Please tell us how u plan to do that ? 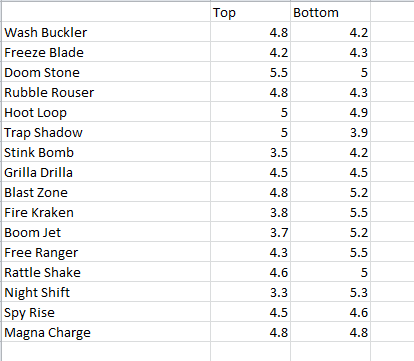 What are the shortest and tallest possible combinations for a Swap Force skylander? do you mean as in figurewise? which combination has the least centimeters and which the most?